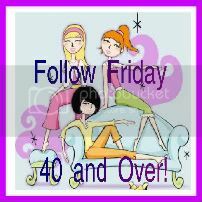 Never Growing Old: Follow Friday 40 and Over!! Grand Re-Opening!!!! Hi Everyone!! I have missed you all so much!!! Welcome back!!! Whoo hoo...welcome back! Missed you girlfriend! (((((Java))))) so glad to have you back you were so missed!!!! I'm signing on tonight. I've just started joining hops and I've been kept busy reading and commenting but I'm enjoying every bit of it. yay! i have missed this hop! glad you are back! how is your dad doing? better i hope! Yeah, it is back, I am so happy to be joining in again!!! I hope you have been doing well. Welcome back!!! So glad to join back in! However I had a glitch with WordPress today and the original post that I linked up to did not post right!!! Argh!!! This is the right one!!! Sorry!! Java its so great to have you back!! We all missed your fun hops, its kind of like being home again after a long vacation. :) I am glad things are getting a little more calmed down (except for the car) and you are setteling back in for the fall. Hope all is well with all of you and you have a great weekend! Yea! Welcome back! Monday's and Friday's will again be interesting. We missed you. Hi Java, long time no see. Just happend to stop by today and here you are ready for 40 and over, yeah. I have a new blog, sorta put my two into one and now out and about meeting and greeting. I hope life is treaint you grandly. Take care and have an awesome and blessed weekend. Hooray! We've missed you, glad to see your back. Thanks for hosting once again. Welcome back. Hope all is well with you & yours. Have a wonderful weekend.